One of those tools that is easily forgotten about is the eraser — the utensils used to make marks tend to get more attention than those that undo them. At first blush, erasing in an app like Paper by FiftyThree may appear limiting and simplistic. Paired with FiftyThree’s Pencil stylus and a little creativity do the possibilities really begin to fly. Opening Paper’s tool tray you will find that the eraser is the first tool on the left. The eraser tool is located on the far left. Owners of FiftyThree’s Pencil have the added benefit of a dedicated eraser on the top of the stylus. Now you can flow between drawing and erasing by simply flipping Pencil around as you would a real pencil. Of course you can still select the eraser from the tool try and use Pencil’s pointed tip to erase — but who does that? Just like the tip, Pencil’s eraser is user replaceable. All of the tools in Paper react to the speed at which you use them — the eraser is no different. When dragging your finger or stylus across the iPad slowly, the eraser will be at its thinnest width. As you increase the speed at which you move, the wider the eraser’s size becomes. In my review of Pencil I dinged the dedicated eraser as a missed opportunity by not adding any new capabilities to the tool. Well when FiftyThree updated Paper to include the new Surface Pressure1 feature, Pencil’s eraser got a serious upgrade. Erasing with the corner versus the entire width of Pencil’s eraser. Pencil’s eraser now changes size depending on how much of it makes contact with the iPad’s screen. Touching the corner of the eraser to the screen will remove a small portion of your drawing. While swipes with the wider edge erase in broader strokes. Pencil’s eraser offers way more flexibility in size than the default eraser. A Surface Pressure enabled eraser can be made quite small, allowing you to sneak into tighter spaces. A trick the normal eraser tool wishes it could pull off. Currently the Pogo Connect is the only pressure sensitive stylus Paper supports. When paired to Paper you can vary the size of the eraser (and the other tools) by applying pressure to the tip as you drag it across the screen. The harder you press the larger the eraser becomes. Erasing tends to be one of those modes where you want precise control for fixing mistakes. The Pogo Connect is not a good tool for this unless you have a steady hand. I can’t even count the amount of times I’d press too hard on the tip and remove a large chunk of my drawing by mistake. Sometimes you just want to clear an entire page and start over. Of course you could manually swipe over everything with the eraser, delete and create a new page, or Rewind back to blank canvas. But the quickest way to clear a page and undo everything is by press and holding on the eraser tool icon. After a few seconds you will be prompted to “Clear Page”. Easy peasy. Press and hold on the eraser tool to wipe the entire page. I like to compare the line qualities of the eraser to the marker (outline) and fountain pen (draw) tools. Unlike the watercolor brush or pencil tools, the eraser has a smooth and clean edge and is very binary in its application. It either completely removes what it touches right down to the egg shell colored background, or it doesn’t — there is no granularity. The harsh edges produced by the eraser are great for bold illustrations, comics/cartoons, wire-framing, diagrams, and lettering. Basically anything you want to retain smooth edges and keep your line work crisp. Cartoons and doodles are complemented by the eraser tool’s rigid edge. Call me biased, but I don’t think the eraser tool works well when trying to achieve a degree of softness in your work. I create a lot of work in the photo-realistic camp and find that a swipe of the eraser can destroy the textured quality of watercolor and pencil strokes. Notice how erasing the fur strokes creates an abrupt edge making it harder to cover-up? Instead of completely erasing a stroke you can partially remove it. By leaving fragments of the original, you retain the spirit of its texture and form. There will still be some “crispness” along the erased edges, but they won’t be as harsh. The easiest way to pull this off is by dabbing your finger or stylus repeatedly while using the eraser. This will lift bits and pieces of the original drawing away with each dab. Dabbing the eraser to partially erase a sketch. This is especially effective during the sketching phase of creation. By leaving part of the drawing on the canvas it allows you to use it as a guide as you continually refine it. My preferred method of “erasing” is to use the watercolor brush loaded with white. With any other color, the brush works as a multiplier building up each layer like panes of colored glass. But when you mix a pure white or tint, it becomes more opaque and acts as a cover-up tool. By taking advantage of this property, white can be used to emulate a gum eraser. By dabbing the brush on the canvas, previously painted colors will begin to lighten. The longer you linger the whiter the area will become — speed matters so work quick! A video demonstrating how to erase by painting with white. I’ve found that using the fat side of Pencil’s tip to swipe in white allows for greater control and smoother transitions. It takes some practice and is definitely a more advanced technique. This method does have a drawback. Using white to “erase” can create more work for yourself if you have a detailed background. The white might bleed into it forcing you to spend a lot of time color matching to clean-up edges. For this reason I tend to work on areas that need lightening first and cover up any messy edges later. Another effective way of softening a sketch, is to smudge it with Blend1. The slower you glide your finger across the screen the more intense the blur. When done correctly lines can be partially blended away leaving small traces you can more easily draw over — using them as guides. Blending away guides and rough sketches is great way to disguise them for inking or painting over. There’s also the option of using the eraser as you normally would followed with carefully placed Blends. You’ll want to be quick with your smudge strokes to avoid pushing pixels too far and ruining any built up textures. But with some practice you can cover-up any ill effects from the eraser. Once you get into a rhythm — bouncing between sketching, erasing, and smudging can begin to feel very natural. In case you scrolled through all those words up there I put together an erasing cheat sheet and shared it to Mix. Feel free to download and remix it directly in Paper for iOS. Paper for iOS How to Erase cheat sheet. How do you use the eraser tool? Does the way that the eraser tool behave in Paper by FiftyThree work as you’d expect? Do you find it convenient having the tool integrated directly into Pencil? Feel free to share your thoughts, sketches, links to Mixes, and techniques in the comments below. Kids are liking your post very much because the kids always playing with eraser they are know what is erased. Moreover, your suggestion is very important basically who is always working art paper analysis, art, scratch, etc. I do share your post because your post is very good. I know well MR. Michael Rose very expert about Blend (Smudge) to Erase. how do i transfer my drawings to my laptop ? When I go to my laptop and sign on only a few of my drawings show up. I would very much would like to see what I do on all my devices. Thanks. Are you referring the Paper website? If yes that only shows your drawings and ideas that you’ve specifically shared to Paper via the Public Stream. If you don’t want to make them publicly available you can save them to your camera roll (iPad or iPhone) and then email to yourself. 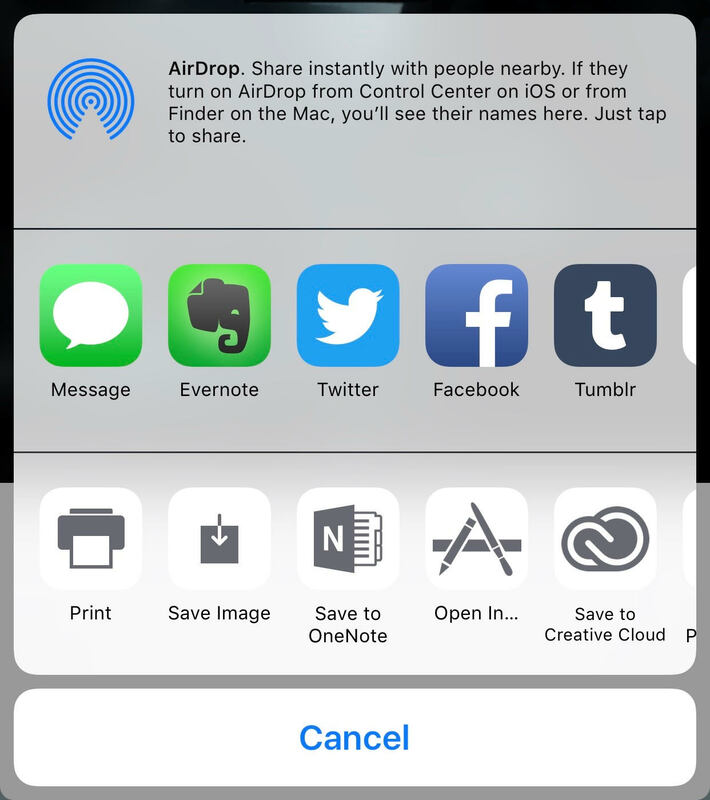 Or use one of the many other sharing options Paper affords via the share sheet. Yeah, pencil just does not, nor has it ever, simply erased. I have never been able to just flip the thing over and erase, like with a real pencil. I have the black and the maple, and neither do it. The eraser is treated just like a stylus tip, which makes for frustrating drawing…any ideas? Verify your Pencil is fully charged and connected to Paper. Verify your Pencil is updated to the latest firmware. If it’s still not erasing from the top then you probably have defective Pencils. I’d suggest reaching out to FiftyThree’s support for further troubleshooting.